You can watch BBC Parliament on Freeview channel 131. Follow us on Twitter @BBCParliament. 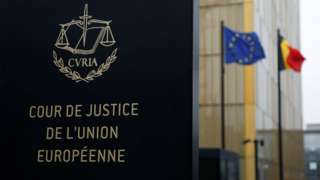 As part of Brexit, the government plans to end the supremacy of EU law - here are the key points. Ministers hail a historic moment - but Labour and the Scottish and Welsh governments are unhappy. 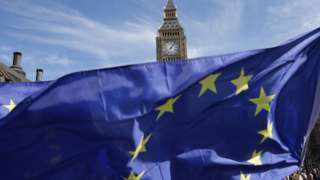 Bill to withdraw from the EU: what's in it? Today, the repeal bill was published and received its first reading. It gives the UK two years after Brexit to correct any "deficiencies" arising from the transfer. The House of Lords has adjourned and will return on Monday at 2.30pm. Winding up for the government, Baroness Goldie speaks of the need to "rigorously enforce sanctions" at the same time as pursuing a "tough and united international response". She says the UK has "grave concerns" about human rights abuses in North Korea but contrary to Lord Alton's earlier comments, "we should endeavour to keep talking through diplomatic channels" which "does keep going a line of communication". She agrees China has "a vital role to play" in this matter and it's something the UK will seek to stress in its relations with that country. Labour spokesman Lord Collins of Highbury says the UK should focus its efforts on "how to better ensure accountability of this regime". If Russia and China do not join efforts to put pressure on North Korea it will be "impossible to hurt them", he adds. He asks what conversations have been had with US President Donald Trump on sanctions, stipulating that a resolution "cannot be at the expense of the North Korean people who have suffered so much". The debate comes to an end and that brings to a close the week's business in the House of Commons. MPs return next Monday at 2.30pm. Transport Minister John Hayes responds to the debate. He says that the use of vehicles off the highways and on private land "multiplies unimaginably" and lists several examples including building sites, race tracks, and airports - adding that "all drivers" have a duty of care to those about them regardless of where they are. John Hayes says he understands the frustration of Mr Shelbrooke and says that any change to the law would have to "think more widely" than currently. He says that although the use of vehicles on the highway and private land differs, "We must not lose sight of the similarities". It is not straight forward to adjust the law but we must do more to prevent future accidents, he says. The minister announces that the government will consider how we might address this including the possibility of future legislative reform. Crossbencher and former chief of the general staff Lord Stirrup focuses on the "major security challenges" posed by a region "frozen in a divided state between two very different countries". He says North Korea is in the grip of a "paranoid dictatorship which defies any analysis" and if the United States were drawn into conflict with it this would "destabilise the world more widely". Crossbencher Lord Alton of Liverpool is opening the day's final debate, on security challenges and related human rights violations on the Korean peninsula. He tells peers: "North Korea is caught in a timewarp" in the form of a "temporary" armistice since the Korean War, and "we now find ourselves on the edge of a nuclear winter". He says national leaders should issue arrest warrants for North Korean officials and the UK should downgrade its diplomatic presence there. "This is not a normal nation, but a brutal totalitarian regime," he concludes, "and doing nothing is the worst course of action." Alec Shelbrooke is calling for a change in the law to allow people to be prosecuted for drink driving on private land. It comes after the death of 11-year-old Harry Whitlam, who was knocked down and killed by a drunk tractor driver on a farm near Leeds in August 2013. Gary Green was more than twice the legal driving limit but could only be prosecuted over health and safety. Conservative Alec Shelbrooke is now leading today's adjournment debate on driving offences on private land, and he is urging government to introduce "Whitlam's Law". Whitlam's Law seeks to end the anomaly that drink-driving laws apply only to vehicles driven on public land. It follows the death of 11-year-old Harry Whitlam who was killed in August 2013. The Crown Prosecution Service were unable to bring a prosecution because the incident occurred on private land. Driver Gary Green was more than twice the legal driving limit but could only be prosecuted over health and safety. Culture, Media and Sport Minister John Glen is concluding the debate for the government, and tells a harrowing first-hand account from a British soldier who describes shooting a comrade to save him from drowning in the mud of Passchendaele. He says that is crucial to ensure that the soldiers who fought in the battle will never be forgotten, and that it is right that we remember all those who gave the ultimate sacrifice for their country. Shadow culture, media and sport Minister Kevin Brennan sums up the debate for the Labour frontbench. He praises the maiden speech of his countryman Ben Lake, saying that his Ceredigion seat is where the detective programme Hinterland is filmed and that the high murder rate in the television programme puts off some Welsh MPs from visiting. The murder rate seems to be "almost as high as Oxford in Inspector Morse", he says. Speaking of the debate, he says it is a hugely appropriate tribute to the soldiers who fought there but says "the greatest tribute we can give is to work to promote peace". Government spokesman Lord Young of Cookham winds up the debate by paying tribute "to the way they [councils] have made economies and efficiencies and maintained high levels of public satisfaction". He points out they will see a "modest" 1.2% increase in cash terms from 2015-20, and the government has introduced the improved better care fund and the social care precept of council tax. Although there was no local government finance bill in the Queen's Speech, he says the matter is "very much on our agenda". Ben Lake, the new Plaid Cymru MP for Ceredigion, is making his maiden speech in the debate. He says that Wales and rural ares like his cannot be allowed to be forgotten by a "distant central government". For too long amenities in urban areas are regarded as luxuries for rural communities, Mr Lake says. The new MP says that his area offers its youth an unrivaled education but offers them "a paucity of job opportunities and affordable housing". This, he says, has led to a "steady silent haemorrhage" of young people from his community which "saps the life" out of every town the length and breadth of the county. Deputy Speaker Eleanor Laing thanks Labour MP Paul Sweeney and Tory MP Stephen Kerr for their tributes to the Highland Light Infantry, in which her grandfather served and was injured in Passchendaele. Somewhat mischievously, she tells MPs that she is unable to make a tribute from the chair and so thanks Mr Sweeney and Mr Kerr for doing it for her. The new Labour MP for Glasgow North East Paul Sweeney is making his maiden speech in the House of Commons. He speaks with pride about the role in the war effort that Glasgow played in the First and Second World Wars, saying the engineering prowess of the city was "critical". Mr Sweeney describes how his "Labour citadel" seat once had "a brief dalliance" with Conservative MPs and also praises his SNP predecessor Anne McLaughlin, saying he hopes to work with her in the future on matters of mutual interest. He says that many of the local problems identified in maiden speeches decades ago "remain stubbornly apparent today".